Dorset is a beautiful county on the South Coast of England. It is rich in history and home to the much-loved seaside town of Bournemouth. 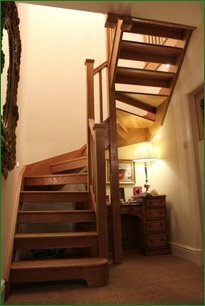 Pear Stairs has been supplying the people of Dorset with beautiful, modern and traditional staircases and stair parts for over a hundred years, so if you are looking to spruce up your staircase, look no further. Whether you need a curved staircase for your country home, stringers for your semi-detached or balustrades for your Bournemouth beach-house, Pear Stairs has everything you could wish for. 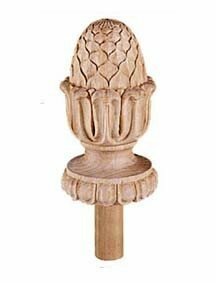 Our online shop stocks quality Dorset stair parts at competitive prices, and they are just a few clicks away. At Pear Stairs we pride ourselves on our customer service, our craftsmanship and our attention to detail, because we know that a staircase is more than just functional furniture; it is a focal point which stands at the heart of any home. Our expert designers, craftsmen and couriers will help you every step of the way in choosing the right staircase or stair parts for you. They will strive to provide them at the right price to meet any budget, and they will deliver directly to your door. At Pear Stairs, we don’t just manufacture staircases, we make our customer’s design dreams a reality. Much of the county of Dorset, Bournemouth and the surrounding villages are certified areas of outstanding natural beauty; with its steep limestone ridges and low-lying clay valleys, Dorset is the perfect place for hillwalking, holidays or setting up home. So, why not get hands-on and use our free 3D online design studio to build the staircase you’ve always wanted? You can hand-pick every detail of your stairs, from the newel caps down to the stair treads; and, as Britain’s biggest supplier of stair parts and staircases, we can offer you a service and prices that are tough to beat. Contact us now with any questions, or visit us online. We are always happy to help.